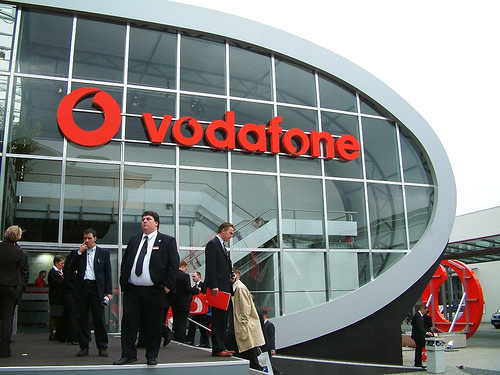 The Vodafone – Foursquare partnership expanded under-the-radar beyond the UK in June, with the geolocation startup now featured by Vodafone in Australia and Portugal. As in the UK, the partnership isn’t about new features or deep integration, it’s about Vodafone showcasing Foursquare to its millions of subscribers. In the Portugal deal announced last week, Foursquare is now featured on Vodafone Portugal’s mobile portal (My Portal or Vodafone live!) 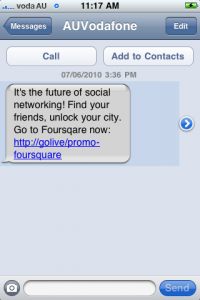 and users can get a link to foursquare.com/mobile by sending a free text message with the text ‘4square’ to 12345. A Foursquare app will also be highlighted in Vodafone’s App 360 store (not sure if that is Apple, Android or something else). In a press release for the Portugal announcement, Foursquare CEO Dennis Crowley was quoted as saying, “We’re extremely excited about expanding our relationship with Vodafone, and we look forward to finding more ways to partner with them.” Well, of course they are. 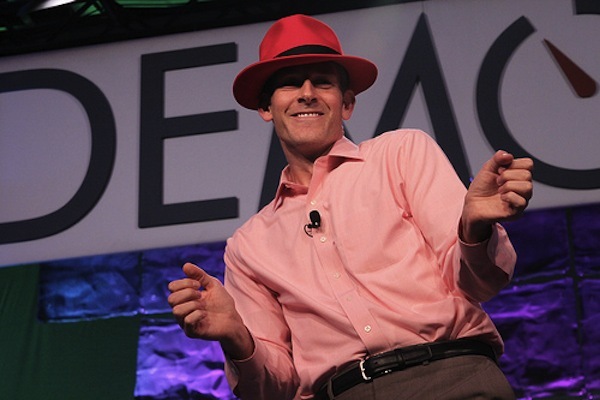 So what does this expanding relationship mean for Foursquare? Well, first of all, along with being big in Japan, popular in Europe and getting good press from the World Cup, it means that Foursquare is solidifying their worldwide appeal and popularity at the expense of their competitors (in the US, Loopt is one competitor that has worked closely with carriers). With a new round of funding under their belts, Foursquare should be able to spend even more time now developing these (all important?) carrier relationships around the world, especially in markets where smartphones have even greater penetration than in the US. Generating revenue from location based services (LBS) has long been a goal of wireless carriers, and as geolocation is finally starting to catch on (Foursquare just surpassed 1 million check-ins in a single day), it isn’t surprising that they are jumping back onto a bandwagon that they have promoted for nearly a decade. Read next: BuzzVoice lets you listen to your favorite websites. Yes, listen.